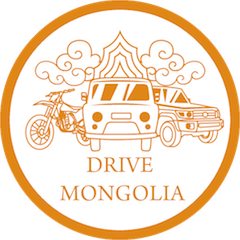 By renting one of our SUV's you are guaranteed to enjoy the best of what Mongolia offers to Mongolians. From Gobi to Huvsgul, from Altai Mountains to the endless steppes of the East you will surely find your adventure. We also offer chaffeurs for the duration of your car reantal upon request. 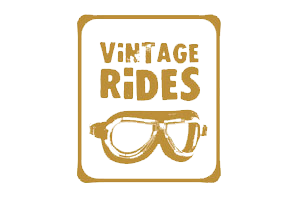 All our vehicles are regularly checked and maintaned to the highest safety standards. Currently available: Toyota Land Cruiser 76, 78, 80, 100, 200 Series, Mazda Proceed, Russian Van and Ford Ranger crew pick up. And we have "Luggage Storage Service" with free of charge. TOYOTA LAND CRUISER 100 SERIES: PETROL, AUTOMATIC, V-8 RELIABLE COMFORTABLE VEHICLE. ALL OUR CARS ARE EQUIPPED WITH "ARB" BUMPER AND WINCHES. WE'LL PROVIDE TWO EXTRA TIRES. ROOF TENTS ARE OPTIONAL AND IT CAN BE INSTALLED IN EVERY VEHICLE. AND WE HAVE "LUGGAGE STORAGE SERVICE" WITH FREE OF CHARGE. 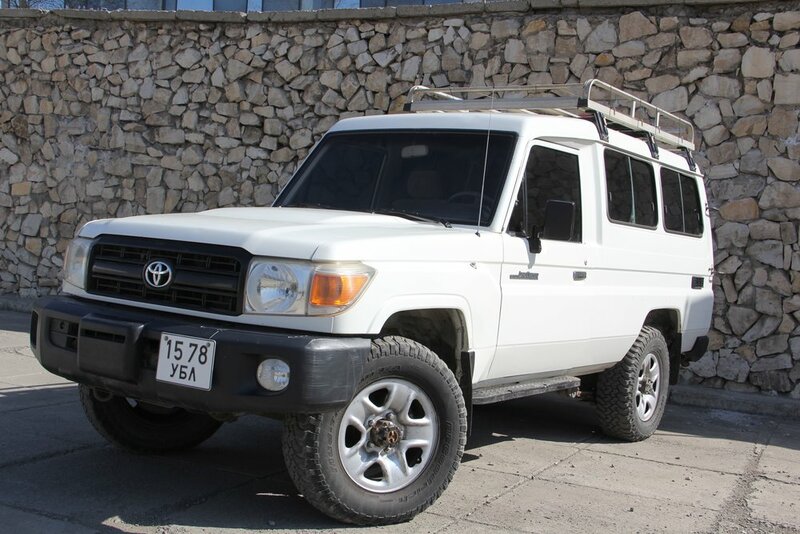 TOYOTA LAND CRUISER 78 SERIES, DIESEL, MECHANIC AND TOUGH OFF ROADING CAPABILITIES. ALL OUR CARS ARE EQUIPPED WITH "ARB" BUMPER AND WINCHES. WE'LL PROVIDE TWO EXTRA TIRES. ROOF TENTS ARE OPTIONAL AND IT CAN BE INSTALLED IN EVERY VEHICLE. AND WE HAVE "LUGGAGE STORAGE SERVICE" WITH FREE OF CHARGE. TOYOTA LAND CRUISER 76 SERIES, MECHANIC, DIESEL, TOUGH OFF ROAD CAPABILITY. ALL OUR CARS ARE EQUIPPED WITH "ARB" BUMPER AND WINCHES. WE'LL PROVIDE TWO EXTRA TIRES. ROOF TENTS ARE OPTIONAL AND IT CAN BE INSTALLED IN EVERY VEHICLE. AND WE HAVE "LUGGAGE STORAGE SERVICE" WITH FREE OF CHARGE. UAZ, RUSSIAN VAN, 2014, PETROL, MECHANIC, 6-8 WILL FIT IN, GREAT OFF ROAD VEHICLE FOR A GROUP. ALL OUR CARS ARE EQUIPPED WITH "ARB" BUMPER AND WINCHES. WE'LL PROVIDE TWO EXTRA TIRES. ROOF TENTS ARE OPTIONAL AND IT CAN BE INSTALLED IN EVERY VEHICLE. AND WE HAVE "LUGGAGE STORAGE SERVICE" WITH FREE OF CHARGE. 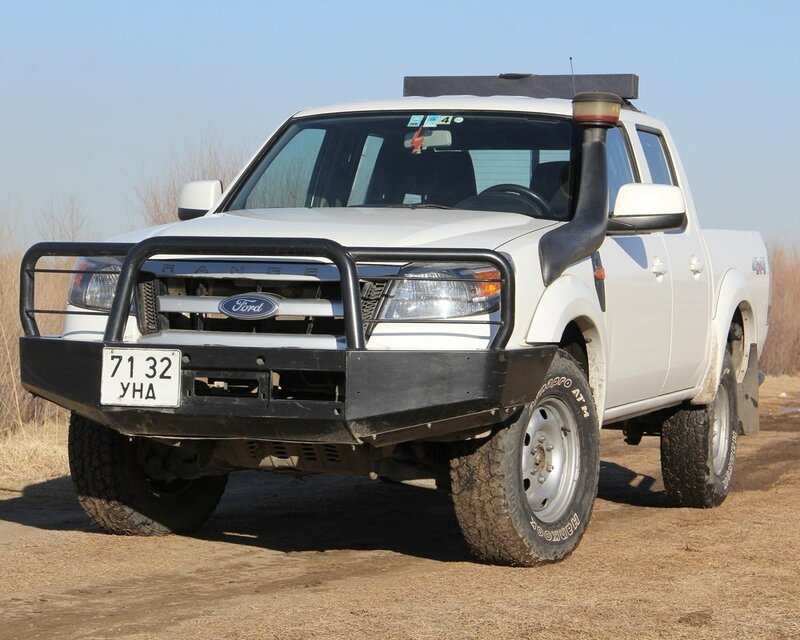 FORD RANGER, 2011, MECHANIC, SUPPORT VEHICLE FOR A BIKE TOUR OR COMFORTABLE FOR 2 PAX. ALL OUR CARS ARE EQUIPPED WITH "ARB" BUMPER AND WINCHES. WE'LL PROVIDE TWO EXTRA TIRES. ROOF TENTS ARE OPTIONAL AND IT CAN BE INSTALLED IN EVERY VEHICLE. AND WE HAVE "LUGGAGE STORAGE SERVICE" WITH FREE OF CHARGE. MAZDA PROCEED, PETROL, MECHANIC, WITH ROOF TENT DESIGNED FOR 2 PAX. ALL OUR CARS ARE EQUIPPED WITH "ARB" BUMPER AND WINCHES. WE'LL PROVIDE TWO EXTRA TIRES. ROOF TENTS ARE OPTIONAL AND IT CAN BE INSTALLED IN EVERY VEHICLE. AND WE HAVE "LUGGAGE STORAGE SERVICE" WITH FREE OF CHARGE.